UL Listed Burglary Resistant TL-15 Safe | Space Saver / Under the Counter | Best for small quantities! Two (2) Anchor Holes to Bolt down the safe to the floor to meet security requirements under 750 lbs. Door Contact for connection to a security alarm system. 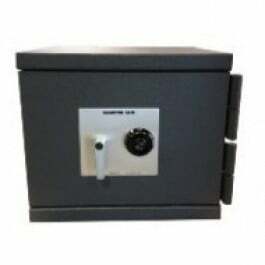 DEA Diversion Control Approved Storage for Schedule I, II, III, IV, V. UL Listed Burglary Resistant Safe . Comes with Group 1R lock meeting DEA Diversion Control Security Requirements for Practitioners and Non-Practitioners. Includes bolt down holes for anchoring to the floor and compliance with security requirements for control substances and controlled product safe storage.